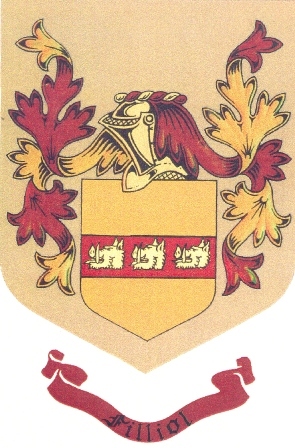 The Filliol clan descended from the French Huguenots. 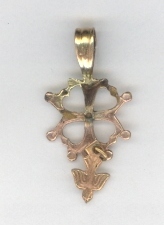 About twenty years ago my mother, Aline (Murphy) Filliol, gave me a lovely gold Huguenot Cross pin. I had it made into a necklace because I was afraid if I wore the pin I would lose it. I cherish it and wear it proudly as an ancestor of the French Huguenots. It is a reminder of those brave people who suffered for their faith in France. The Huguenot cross is the distinctive emblem of the Huguenots (croix huguenote). It is now an official symbol of the Eglise des Protestants reform� (French Protestant church). Huguenot descendants sometimes display this symbol as a sign of reconnaissance (recognition) between them. 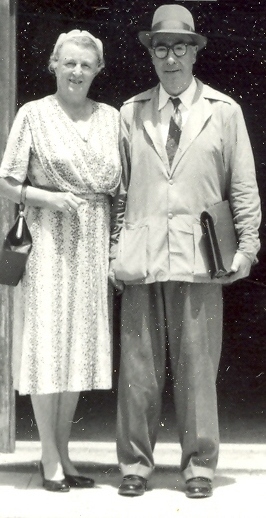 This is my Grandfather, Philippe Filliol with his first wife, Julia (Jospin). 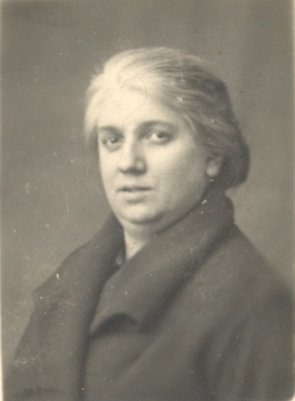 Photo taken 1922. Notice the phone on the table! 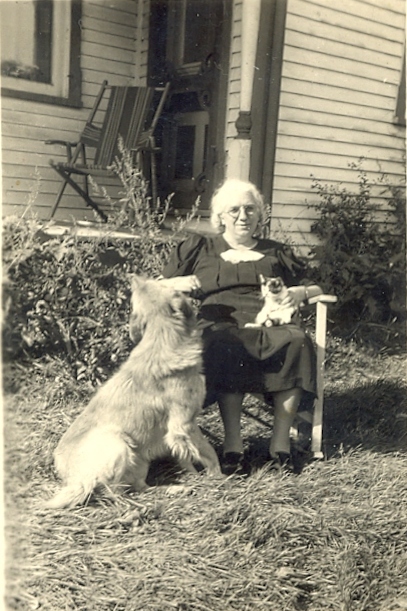 My Grandmother, Julia, was born in 1890. She and my grandfather were twenty-four years old when they got married. My grandparents were the directors of "Le Foyer des Jeunes". This was a ministry owned by a protestant board to house young men cheaply who were either students or visiting Paris or working for a time. There were about sixty rooms in the building. A part of this was a restaurant which served some four hundred men who worked in the factories near by. The meals were cheap. About fifteen waitresses looked after the work in the restaurant. 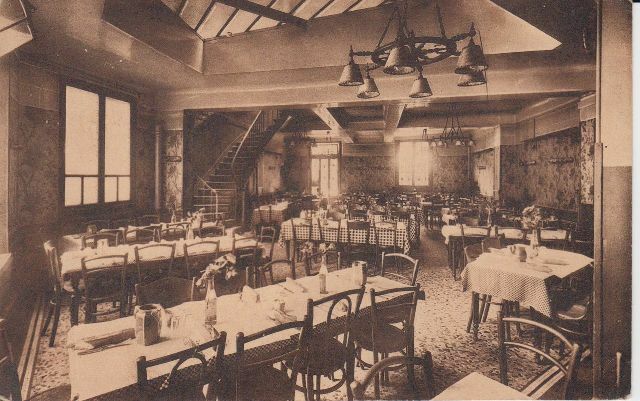 My grandfather went to Les Halles every morning to get the provisions and then went in the kitchen to help with the meals. The service had to be quick and efficient. The restaurant was open at night but only for the residents. My grandfather went down every night to discuss politics with all the young men. Le Foyer des Jeunes does not exist anymore. 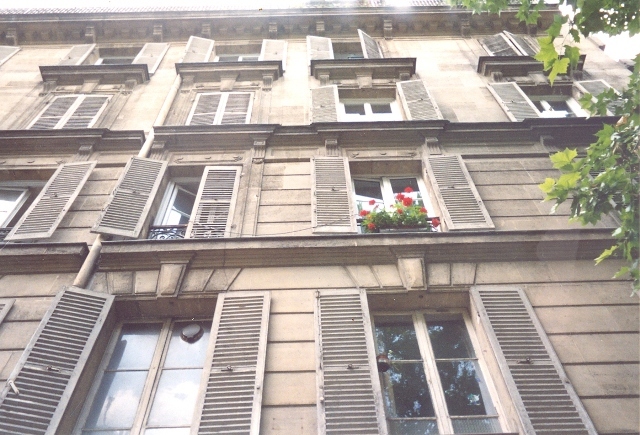 It was situated at 151 Avenue Ledru Rollin in the 11th Arrondissement; very close to La Bastille. This was the restaurant at Le Foyer des Jeunes. and took this picture of the building where my Dad was born. My grandparents lived on the top floor. One of the things my siblings learned in 2016 was that there had never been a grave marker for our Grandmother (Julia). She died in 1942 of bowel cancer. The family was so poor, that they did not have the money to even put up a small grave marker. My siblings decided that she should have a grave marker in the Woodlawn Cemetery (Cornwall, Ontario, Canada), so in the fall of 2016, we had it done. I think it is wonderful that there is a place where she can be remembered. This is my grandfather's second wife. 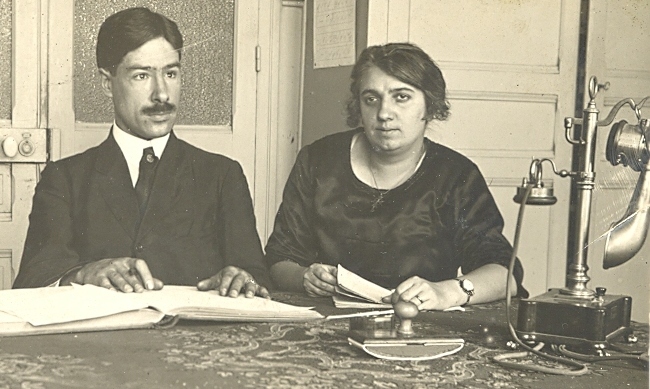 My grandfather, Philippe Filliol remarried after Julia died, to Lucie (Torcqueme) when my father was twenty-eight years old. Lucie was a cousin to my father's blood mother, whom he knew from Young People's groups they attended together in France. 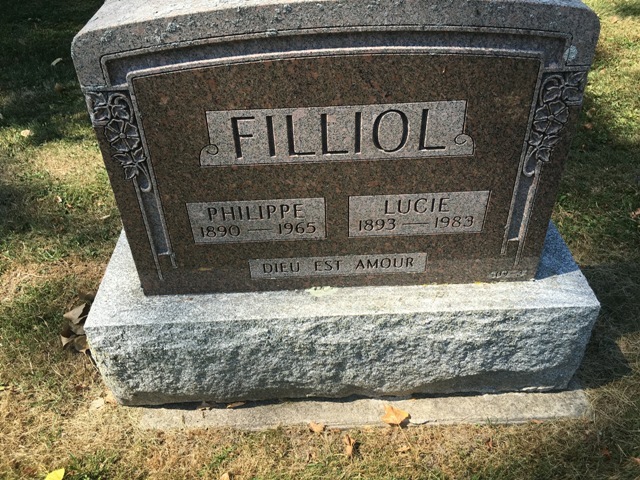 My grandfather, Philippe Filliol, died when I was eleven years old. I don't remember him much, but I do remember my grandfather as a gracious, kind, and quiet man. 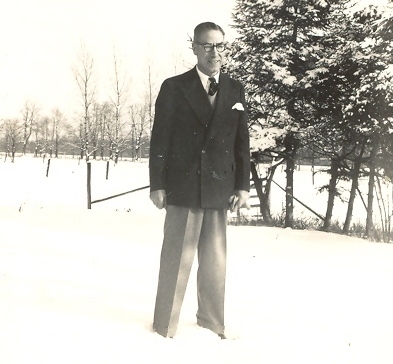 When he came to Canada my grandfather became a pastor. When my grandfather died I remember my father sobbing his heart out in the bathroom of our house. I will never forget that. 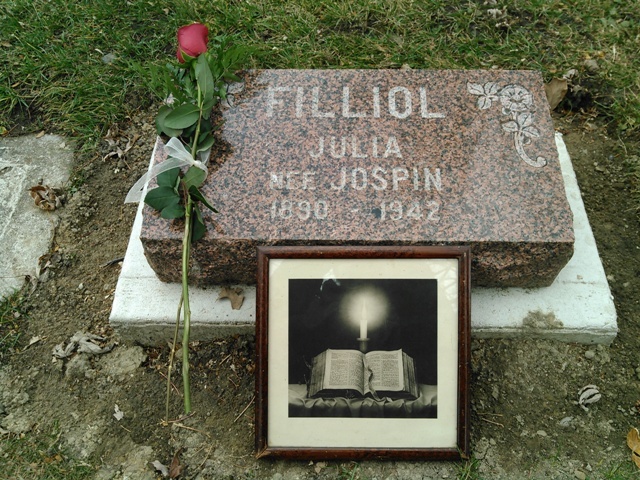 I have fond memories of my grandmother, Lucie Filliol. She was very prime and proper. I remember that she set her table with more than one fork and spoon and I never knew which ones to use for what. I do remember her kindly showing me which spoon to use for soup. Her tables have lovely white linen tablecloths and napkins. Even though she never had any children of her own (she was too old for children once she married my grandfather) she was sweet and patient with me and my four other siblings. I remember the Christmas holidays when she would come and visit and she would have a small holiday envelope with money in it for each of us children. 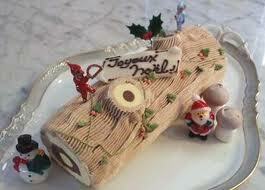 She also always brought a "Buche" (yule log) each New Year's Day. I remember the little ax on it and the tin foil little sign on it that said "Joyeux Noel". I cherish my French heritage, especially the outstanding Christian example that my grandparents were to me during my formative years. always brought a "Buche" for New Years. It was difficult for us children to communicate with my grandmother because of the language barrier. She spoke French with very little knowledge of English. My Dad and Mom spoke french and english in our home. We children went to english schools because at the time in Canada, English schools were protestant and french schools were Catholic. We were protestant so we went to english schools. Even though my parents communicated some in French in the home, I was never very fluent. I could understand the drift of most conversations, but talking back in French was another matter. 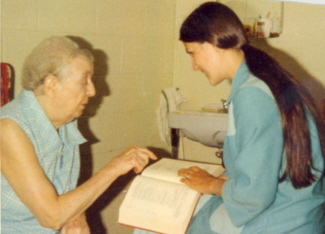 Here I am reading the Bible to my Grandmother Filliol in 1976. I feel sad that I wasn't able to communicate more with my grandmother. I would have loved to have known her better and have understood about her life in France. I think she had a lonely life because of the language barrier. After my first child, Jennifer, was born, we took a trip back home from Guelph to Cornwal and went to visit my grandmother who was in a nursing home at the time. Despite the communication barrier, love was shared between us. I cherish those memories. 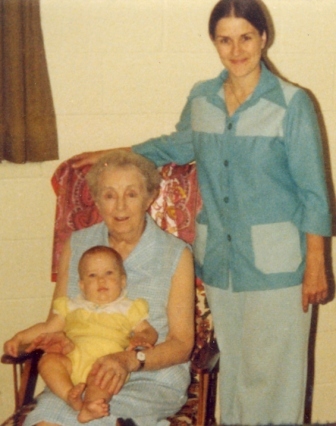 Here I am at age twenty-two, with my paternal grandmother. She is holding my first born, Jennifer, at six months of age. My paternal grandparent's gravestone in Woodlawn Cemetery, Cornwall, Ontario. Dieu est amour--God is love. My father had two brothers and one sister. The oldest, Yves Filliol, was born in November 1914. He was killed on the Belgium border in May 1940 just before France felled to the Germans. It is hard to imagine a twenty-six year old---so young and so courageous. My grandmother, Julia, was dying of cancer at the time of his death and no one had the heart to tell her that Yves had died in the war. I never met Yves, of course. Next is Michel who was born in 1918. I vaguly remember him, whom we all called "Uncle Michou." He lived in France much of his life and died about two years ago in Aix-en-Provence. He has one daughter, Catherine who lives in France and one son Marc who resides in Joliette, Quebec. My Dad is next. He was born in 1922. 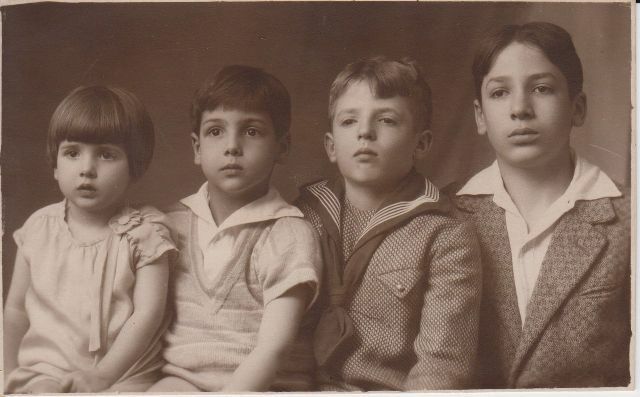 My Dad's siblings: Monique, my Dad, Michel and Yves. The last child and only daughter, is Monique who was born in 1926. She was twelve years old when they came to Canada. 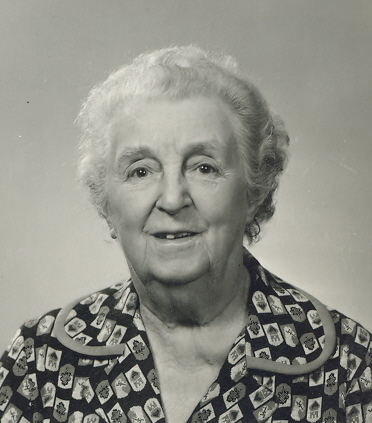 She left Cornwall in Septebmer 1946 to go to nurses training in Montreal. She graduated in August 1949 and then married the love of her life, Robert, on August 10th. (Also Gerald's and my wedding anniversary!) I remember her the most, Monique (Filliol) MacBeth. She was "Aunt Monique" to me and she always impressed me with her stylish clothes and her great beauty. She was very sweet, kind, generous and affectionate. If is funny that as a child you don't really connect "this is my Dad's sister", only that she was my aunt somehow or other. Aunt Monique lived "out west" (Canada) and was married to a doctor, Robert MacBeth or "Uncle Bob" to me. They had four daughters. Even though we didn't see my cousins often, when we did it was a great time! My Aunt Monique currently lives in Toronto. I have not seen my Aunt Monique since my childhood. Aunt Monique has recently been in touch with me and updated me a bit on my cousins and what they are all doing. She also corrected some of the above family history. Thank you, Aunt Monique! 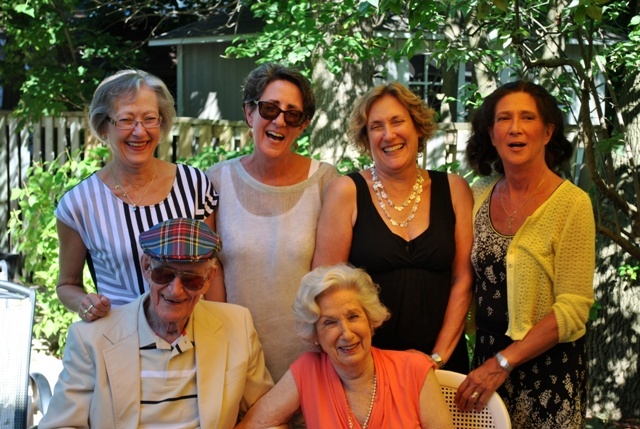 My Aunt Monique and Uncle Bob and their d aughters. August 2013. From left to right: Nicole, Danielle, Joanne and Michele. noticed Michele is wearing the Huguenot cross. My cousins (Aunt Monique's daughters) are Michele, Nicole, Danielle and Joanne. Michelle and her husband Harold have four children. 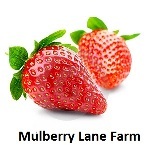 The eldest, Joanna, lives in England in a village and her husband is a farmer. They have Violet, Freddie, and a new baby born in June 2013. Lindsay is next. She and her husband, Devin, who is a policeman, live in Calgary. They have two boys; Carter and Travis. Adrienne and her husband Andrew also live in Calgary. Rob is the last, married to Amy and they have a boy, Callum. Michele ran a nursery school for twenty-five years and has now retired. 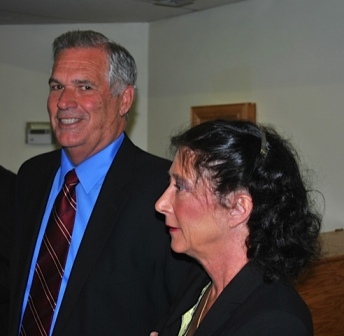 Michele and Harold at my Dad's funeral, May, 2013. Nicole is next. She is married to David who is a manager at Ontario Hydro. They have two children, Duncan and Meredith. Nicole has worked for the last thirty years or so at a children's hospital. Danielle is married to John. They both have Ph.D's in Philosophy living in a college town near Philadelphia. Danielle is a professor at Haverford College. They have one son, Alexander. Joanne is married to Paul. Joanne works as a manager in public health. She and Paul, who is a vice president in a big construction company, have two children; Julia, and Daniel. Aunt Monique has been married to Uncle Bob for sixty-three years, as of 2013.